True Colorado living! This 4BR/2.5BA custom log home was built in 2006 by a long-standing local contractor in maximizing privacy and views. The end-of-the road and up-top placement provides direct line of site to Dome Rock, numerous other unique rock formations, the Four Mile Creek valley and several outlying mountain ranges. Land area consists of two contiguous parcels totaling 38.3-acres (see attached maps). The smaller parcel is situated at the main entrance to the larger property and has been improved with a 36' x 48' metal shop building. An over-sized 12' x 14' overhead door will accommodate storage of the largest of RV's (including diesel pushers) with abundant left over space for storage, etc. An owner would have the option to keep the lot and metal shop building attached to the larger tract or sell the 2.3-acres (parcel no. 1387.201050140) to a third-party for construction of a home. 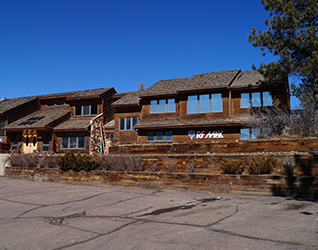 (note - only the 2.3-acre parcel is located in Ranch Resorts and subject to covenants).